Chinese drone maker DJI on Sunday launched two new handheld camera stabilisers at CES 2018. The Osmo Mobile 2 is the company’s next-gen camera stabiliser for smartphones. 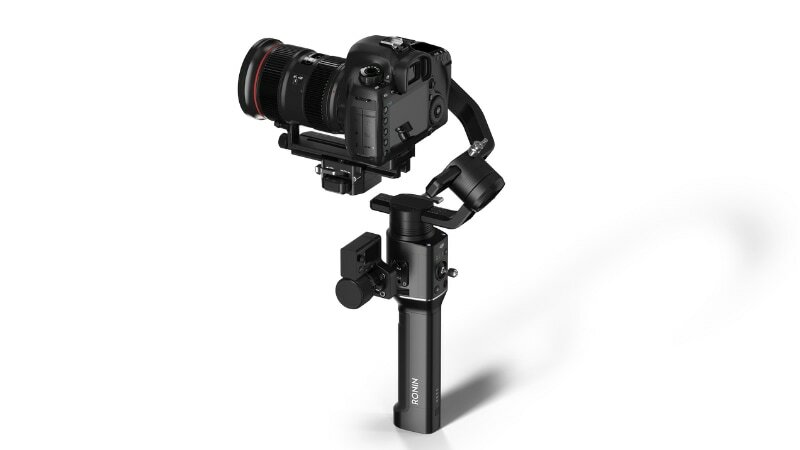 On the other hand, the Ronin-S is DJI’s first single-handed stabiliser for bigger devices like DSLRs and mirrorless cameras. The Osmo Mobile 2 is the latest smartphone camera stabiliser from DJI. It features some new design changes and a more powerful inbuilt battery system. DJI claims to offer up to 15 hours of battery life on the Osmo Mobile 2, which is three times longer than that offered on the original Osmo Mobile. The battery capacity is 2600mAh, compared to 980mAh since with the last generation. The battery also acts as an emergency power bank for smartphones that can be charged through the provided USB port. The Osmo Mobile 2 has a weight of 485 grams and dimensions of 295x113x72mm, making it slightly lighter and significantly larger than the previous variant. It has a redesigned set of control buttons, and the two-way mobile clamp that allows users to shift between portrait and landscape modes. The Osmo Mobile 2 has been priced at $129 (roughly Rs. 8,200) and will be sold exclusively via Apple.com starting January 23, 2018. Another product launched by DJI at CES 2018 is the Ronin-S, the company’s first-ever single-handed camera stabiliser for DSLRs and mirrorless cameras. The Ronin-S is available in two frame sizes and features DJI’s three-axis gimbal technology to deliver functionality similar to the Osmo Mobile range. DJI’s proprietary SmoothTrack technology allows users to customise controls for easier access. Keeping in mind the usage of professional cameras in different setups, the DJI Ronin-S has multiple accessory mounts providing support for add-ons such as microphone, LED lights, and wireless video transmitters.